You’re probably reading this page because I’ve just set up your blog on the site and I’ve directed you here to let you know how to add text and pictures to your blog post. If you’ve stumbled upon this page by accident and you want to know what it’s all about, please read this post. All you need to do to access your new section of the site is log in to the site here using your username and password. Once logged in, you will see a horizontal menu bar at the top of the screen with six items on it. The ones that you will use are “New Post” and “Manage”. For your very first post, click on “New Post” to create a new empty post. If you scroll down from the text editor you’ll see many different settings. The good news is that you don’t need to bother with most of them when you create your blog post but there are some which, if completed correctly, will enhance your Google ranking and increase your readership. Your first task after you’ve created a new blank post is to give it a title. Remember, your blog address will be http://livingonanarrowboat.co.uk/blogs/yourblogname/yourpostname. You will help both your readers and the search engines by giving your blog post a meaningful title. 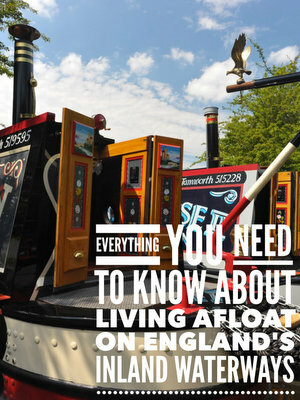 If you don’t give it a title at all, the post you publish will look something like this… http://livingonanarrowboat.co.uk/general/20461/ which would be meaningless to anyone reading it. Something like Planning My Narrowboat Dream would be far better. I’ve written this tutorial for anyone planning to write a blog on this site regardless of their blogging experience, so forgive me if I cover aspects of writing a blog which you’re familiar with. Try to write your blog in an engaging inclusive style. Use short paragraphs rather than huge blocks of text. Short paragraphs are much easier to read. Include photographs where you can to add interest and to break up the text. Here’s how to add an image. Above the text editor on the left hand side you will see an Add Media button. Click on this, Click Upload Files then Select Files to browse your hard drive for the image you want. Select your image then Open. The image will be uploaded to the left hand side of the screen and the image attributes will be displayed on the right. Adding some information on the right hand side will help your blog ranking. If you’ve taken the photo yourself but haven’t edited it at all, the image will still have its original file title which will be something like 123456.jpg. Change it to something more meaningful like my new floating home then copy the text into the Caption and the Alt Text fields. The caption is the text displayed below the image when it is published. The alt text is what’s displayed in the image placeholder if the image doesn’t load in the reader’s browser. There are two more settings to change under ATTACHMENT DISPLAY SETTINGS. The first setting is Alignment. This setting will determine whether your image is displayed on the left hand side of your post with text flowing around it to the right, on the right hand side with text flowing around it to the left, or in the centre with no text either side. If you plan to add several images to your post, try to vary the alignment between left and right to make the post look more interesting. Please note that on the site the centre column where your post is displayed in just 600 pixels wide so the images you insert into your post should be no wider than 600 pixels. You can choose the display size in the size field. Unless you resized your images to 600 pixels wide before you uploaded them, as I do in my posts, you don’t want to choose Full Size as your image will overlap the columns on either side and look very strange. The best size to use is medium. Once you have your text written and images added make sure you run the spellchecker before you publish your post. It’s on the editor toolbar labelled ABC with a green tick under it. That’s nearly it. There are dozens of settings below the editor window but you don’t need to bother with most of them. There are a few which will help your search engine ranking and help increase your readership so here are the settings that you should (and shouldn’t) change. Meta Description – This will definitely help improve the search engine position of your posts. A short descriptive sentence or two helps tremendously. If the post is about your first cruise from Calcutt Boats to Braunston, the meta description could be My narrowboat’s maiden voyage from Calcutt to Braunston. Meta Keywords – This is another important field to complete. Search engine users use words or phrases to find what they’re looking for. Using the example above, you would add no more than half a dozen of the most appropriate short phrases like narrowboat blog, Calcutt locks narrowboat cruise, Braunston narrowboat cruise, narrowboat maiden voyage cruise. Discussion – Uncheck both Allow Comments and Allow Pingbacks and Trackbacks (Readers will be able to comment on your blog as much as they like, but it will be in the forum rather than on the blog post itself. I’ll show you how to duplicate your blog post in the forum further down. Link To Forum – This is an important one. This setting allows you to duplicate your post and display it in the blog section of the forum where readers can comment on your blog posts. Select Create Forum Topic then from the drop down menu choose Narrowboat Blogs. When you publish your blog post, it will appear in the Narrowboat Blog section of the forum as well as on the main part of the site. Add Link To Facebook – This is another setting which will help increase your readership if you have an active Facebook page. When you first log into the admin section of the site you are presented with a link to set up a connection to your Facebook account. If you have done this, and you want to broadcast your blog to your Facebook followers, here’s what to do. Choose the thumbnail image which you want to appear in your Facebook link. Please note that unless you have added images to your blog post, there won’t be any images to choose from in this section. Next, add some introductory text to the Custom excerpt and the Custom Text fields. I simply copy the text from the Meta Description field above for both of these fields. Ignore the final three fields. That’s it. Although there are many settings you can change, you don’t need to bother with most of them. Once you’ve created a post or two, you’ll fly through the few settings that you do have to edit. Read through your post after you’ve finished writing it and make sure that you run the spell checker. It’s the icon on the editor toolbar which looks like ABC with a green tick underneath. There’s one final step, publishing your post. A word of caution here. If you’ve been working on the post for a long time, WordPress sometimes logs you out. Most of the time WordPress autosaves your changes every few minutes. Look on the grey bar at the bottom of the editor window. It shows your post word count on the left had side and then on the right Draft saved at 7:08:35 am or the current time give or take a few minutes. Make sure that the time displayed is the current time before you hit the Publish button. The Publish button is at the top of the right hand column. Click it and wait for your post to be displayed for the boating world to enjoy.